Northrop Grumman said in a statement that Northrop Grumman has delivered to the US military thousand advanced infrared helmets for the F-35 fighter aircraft that enable pilots to detect and track aircraft and missiles, and provide day and night navigation and targeting imagery. WASHINGTON (Sputnik) — Northrop Grumman has delivered to the US military thousand advanced infrared helmets for the F-35 fighter aircraft that enable pilots to detect and track aircraft and missiles, and provide day and night navigation and targeting imagery, Northrop Grumman said in a statement. “The six infrared Distributed Aperture System (DAS) sensors on the F-35 provide full spherical situational awareness to the pilot, day and night. The DAS provides a revolutionary capability to autonomously detect and track aircraft and missiles in every direction, while projecting video directly into the pilot's helmet mounted display and eliminating cockpit obscurities,” the statement, issued on Wednesday, said. Northrop Grumman said the DAS has also demonstrated the ability for use in ballistic missile defense, ground fire detection and unmanned aircraft operations. "The system provides fifth generation awareness and protection unparalleled in legacy aircraft and continues to show its versatility and applicability to a wide range of additional missions and platforms," Northrop Grumman Director for the F-35 Radar and DAS programs David Partridge said in the statement. DAS flight demonstrations have included tracking a rocket to over 800 miles (1300km) distance, the statement said. 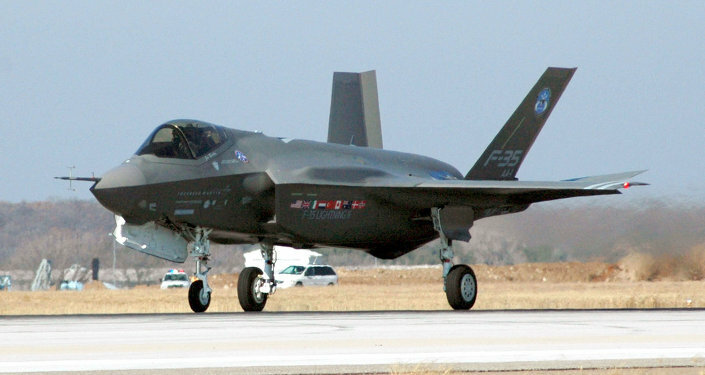 Northup Grumman is a partner in the Lockheed Martin-led F-35 Joint Strike Fighter program. The F-35 is a single-seat, single-engine strike fighter with stealth technology meant to be the US military’s premier multi-use fighter aircraft. The F-35 Joint Strike Fighter Program is largely funded by the United States, which plans to buy 2,443 F-35s, according to the aircraft producer Lockheed Martin. The program could cost as much as $1.5 trillion over the nearly 50-year life of the program, according the Pentagon. F-35 of the Sea? Navy's Newest Stealth Ship Still "Not Survivable"
F-35 Fighter: $400 Billion and the Guns Don't Work?